Presented over three DVDs, Wrestlemania 31 includes the event itself, split across two discs, along with the Wrestlemania KickOff Show, featuring the Fatal 4-Way Match for the WWE Tag Team Championship and the Andre the Giant Battle Royale, the Hall of Fame and interviews with John Cena and Seth Rollins. Every year, Wrestlemania manages to draw the highest of expectations and equally elate and disappoint. For all the big moments and matches that fans remember, as with every WWE PPV and many of their shows, there are many moments that don’t hit the mark - this year, we’ve got the “much anticipated” Sting vs Triple H - fourteen years in the making, WCW vs WWE and all the other hyperbole that the commentary team throws out, but at least a decade too late. There are highs - Paige & AJ Lee, the opening ladder match, The Rock appearing with Rhonda Rousey, Brock Lesnar being the machine he is. There are also many lows, as there always are in Wrestlemania, but Wrestlemania 31 is by no means the worst WWE PPV, or the worst Wrestlemania. With Michael Cole, Jerry “The King” Lawler and JBL on commentary, WWE know fans know what to expect as they switch from calling the action, to talking amongst themselves, bickering and generally filling in bits of silence as they go along. WWE has incredibly high production values - camera angles seem to pop up out of nowhere, capturing every moment and getting up close to the action. It’s incredibly polished and everyone looks great - like superstars, which is what WWE builds its guys up to be. The WWE Hall of Fame is split over discs two and three, with the bulk of the inductees featured on disc 3. With much of the WWE roster, including Legends and previous Hall of Famers, in attendance, and a large, vocal representation of the WWE Universe, The Hall of Fame is certainly a lively affair, though if you want the full experience in one go, it’s worth looking at the WWE Network. Jerry Lawler, as the master of ceremonies, does a decent job, and the WWE Superstars vary in their quality as they talk about each inductee, but passion and belief of the inductees shines through as they speak about their careers. There are some touching speeches and plenty of humour, though some of the speeches due tend to drag on - a combination of age and failing memory seem to contribute to this. The recognition of the WWE Hall of Fame cannot be faulted as a nostalgia trip. From a technical point of view, there are issues with the DVDs - the long shots of crowds and some of the panning shots of the Wrestlemania set certainly does no favours to the DVD format as there’s plenty of pixelation going on. The commentary occasionally quietens randomly, though occasionally to emphasise the cheers of the crowd or certain high spots. This would be fine if it achieved its purpose - you can’t help but feel that hearing the crowd be louder than the commentary would be better, instead of turning the commentary down - instead it just gets distracting rather quickly. The elephant in the room, of course, is whether it’s worth investing in this DVD, the BluRay or just sticking with the WWE Network. Given the choice, it’d be cheaper to opt for the WWE Network, which will, at least, give you a 720p experience, whilst the BluRay will, no doubt, have better picture quality than the WWE Network and DVD and suffer fewer of the issues present in the technical mastering seen here. Aloe Blacc starts off proceedings with a rendition of America, The Beautiful before LL Cool J reminds us why we should care about Wrestlemania and how we’re all connected. A ladder match with, just to emphasise the point, probably a dozen ladders outside the ring, is the first match and sees all seven men fighting for the Intercontinental Championship, using the ladders to thrill the crowds whilst throwing each other around the ring, flying through the air and battering each other with the ladders. As an opening match, this was certainly spot on at getting the crowd excited. It was a high-octane spotfest with enough jeopardy to tease the fans. With both Ziggler and Bryan atop the ladder, the fans were clearly divided, but it would eventually be Bryan who snagged the belt for the win… and the crowd went wild. Having betrayed both The Authority and Seth Rollins, Randy Orton goes into the match promising the end the “future of the WWE”, though “Mr Money in the Bank” Seth Rollins is accompanied by J&J Security who will, no doubt, get involved at some point. Making his twelfth Wrestlemania appearance, Orton has become a master of moments - turning a kerb stomp into a powerslam, looking flawless as he slowly stalks around the ring, and then there’s that RKO. Rollins’ future looks bright in this match, too - he is a beast of a man who moves gracefully and powerfully, equalling Orton’s ability on many levels. In the end, J&J Security weren’t really needed - making you wonder why they’re there in the first place - and Randy Orton manages to lure Rollins in for an RKO that would be talked about for months to come as he hits it… out of nowhere. Cut to a very excited Rhonda Rousey. “Two icons of an era, two cornerstones of two companies” and it starts with a promo video building up Triple H and his contribution to WWE and cementing his role as the authority figure, before introducing Sting as the vigilante with a vendetta. It also sets up, effectively, what will happen in this match as “The King” goes up against “The Vigilante” - sadly, not The King vs The King Slayer, but there you go. Sting comes out to a Japanese band with Sting facepaint playing drums and banging gongs - it’s not a recognisable ditty, but they’re certainly enthusiastic. Then we get the black and white Sting Titantron video (Out From the Shadows, for those wondering) which starts off as a cacophony as the band continue to play. To show they’re on a level playing field, Triple H is introduced by Arnold Schwarzenneger as the Cheese-800, sorry T-800 from Terminator, and we get an end-of-the-world vibe as the King of Kings, The Game, The Cerebral Assassin makes his entrance, surrounded by Terminator statues and some blokes in masks. As he ascends from the ground, in a custom Terminator crown, with faceplate and arms, he waits to have the accoutrements removed as his theme kicks in - all this because the event is sponsored by Terminator: Genisys. Then the match begins and quickly gets old. This would certainly have hit the spot if it had taken place after WWE acquired WCW, but this is just painful - run ins from (the main members of) NWO and DX (with no reference to divided loyalties) break up the action and, whilst both men can still perform, it doesn’t come close to either’s performances only a year or two ago! Sure, they’re older, but neither is in terrible shape or coming out of retirement for this. The match amounts to a brawl, slow and methodical, with the crowd behind Sting, as both men tussle, break, tussle, break. The commentary doesn’t help as JBL lays it on thick, buries Michael Cole more than usual and allows Lawler to shriek. Thankfully, the pain does end, with Triple H fulfilling his prophecy. We do get, however, an awkward moment with Triple H shaking off his fatigue and shaking Sting’s hand, patting his head as if he’s just elevated a rookie to superstardom. Cut to Maria Menounos as she speaks to Daniel Bryan about his Intercontinental Championship win. Pat Patterson praises Bryan, then Roddy Piper, then Ricky “The Dragon” Steamboat awkwardly quoting Randy Savage, then Ric Flair and whoos away, before Bret Hart shakes Bryan by the hand and they all “Yes” away in an incredibly awkward segment, only to be stopped by a single “Damn” from Ron Simmons. Then we get the obligatory song - Travis Barker and Skyler Grey perform “Rise”, without David Guetta, and Kid Ink raps his way through “Money and the Power”. Paige has had, as Michael Cole suggests, a great “rookie year” in WWE and her work with AJ Lee has successfully highlighted the skills of both women. 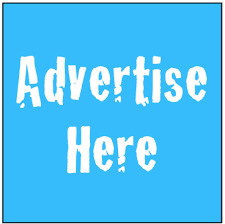 Compared to The Bella Twins, it’s very much Divas versus what many wrestling fans want women wrestling to be. The Bella Twins are good at what they do and certainly rile up the opinion of the fans in attendance, but it’s the skill of Paige and AJ Lee that shows just how far the others have to go. Whilst the Bellas can certainly move deftly, they’re nowhere near as nimble as their opponents. With AJ Lee locking in the Black Widow on Nikki, it’s only a matter of time before the Bella taps. A recap of the Hall of Fame manages to capture the ceremony, including some of the fun and emotional moments, in effective fashion and all the inductees come out to rapturous applause. Rusev is built up as the Russian monster, whilst Cena is the home country hero. Mocked and humiliated, beaten and broken, Cena defines America - self-confident, bordering on arrogant, even when the odds are against him. Rusev defines Russia, an unstoppable machine that listens to nobody and bows to nothing. Thus ends the video package and starts the best entrance of the night as Lana approaches, championship belt held proud, followed by a retinue of soldiers, and then it’s Rusev’s moment… in a tank… the jeers threatening to drown out the Russian anthem. Going into this, Cena - despite the negative opinion of the fans (surely, turning their back on him and staying absolutely silent would be a better way) - is the hero and, dare I say, underdog in the wake of the unstoppable force that is Rusev. Considering how long Cena has been at the top of the WWE tree, it seems odd that some fans don’t get that he’s not the greatest technical wrestler - he doesn’t have to be, he’s there to be a superhero, a larger than life strong man who overcomes all odds and rises above hate. Rusev is the super villain, a larger than life strong man who wants to destroy the Western world - with Cena as the embodiment of that. It’s a classic story and it works here and the two superpowers collide until Cena finally brings the title home. We then cut to the Wrestlemania panel, with Byron Saxton, Corey Graves and Booker T talking about the last match and led by Renee Young. It’s the usual diverting fluff. A recap of the Andre the Giant Battle Royale sees Mizdow implode when Sandow takes out The Miz only for Sandow to be eliminated by the Big Show for the win. In a segment that goes on far too long, we see that Triple H is suited and looks like he’s made a full recovery from his match with Sting. Stephanie McMahon stands beside him in the ring, tells us that 76,976 fans are in attendance and talks about the history of Wrestlemania, how it started with only 20,000 fans. She puts the success down to herself and Triple H and he backs this up. As the fans boo loudly, and Triple H talks about his victory over Sting, they show why they’re at the top of their game. Then The Rock comes out, and the crowd go absolutely mental! The Rock cuts a sarcastic promo, showing that he’s still “got it”, as the fans would probably chant. Whereas The Rock’s mic work is full of energy and poetry, Triple H is measured and authoritative. 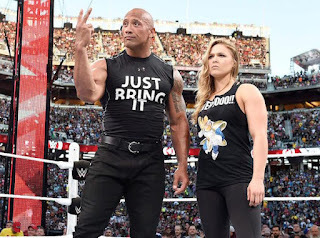 Stephanie takes over, mocking The Rock and reminding him that the McMahon’s created The Rock, slapping him and humiliating The Rock until he brings Rhonda Rousey into the ring and she delivers an arm drag to Triple H that fan reaction would have you believe is the best move ever in wrestling before getting physical with Stephanie and a Wrestlemania moment is made! And, that brings us to the end of Disc 1. Two entrances that benefit hugely from ominous darkness are effectively diminished by the open air, daylight venue, even with the creepy, stumbling scarecrows that accompany Wyatt. Much is made of the post-streak Undertaker and what this match means and both men do the best they can in the circumstances. The Undertaker is still great to watch - arguably the last of the “comic book” style characters that were once so popular - and works hard to do what he does, whilst Wyatt has been on a breath of fresh air in the WWE - a brash zealot with incredible in ring skill and confidence. Despite some hard hitting offense, The Undertaker is overpowered by the zeal of Bray Wyatt as he combines heavy hitting with unseemly athleticism. 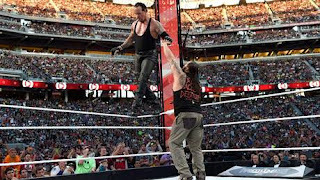 Driven by the need to destroy, Wyatt leaves The Undertaker lying in the ring, barely able to move, but eventually it’s The Undertaker that, having failed to do so earlier, manages to put Wyatt away with a Tombstone Piledriver. Roman Reigns comes down through the crowd, surrounded by security, to show how he’s a renegade and the fans he pass, broadly, really don’t like him. By contrast, Brock Lesnar is cheered - probably by a different set of fans who’d decried his “part time” status as champion. Accompanied by Paul Heyman, Heyman doesn’t have to say anything to get under people’s skins - he’s a true master of manipulation - but, when he does, he’s an incomparable orator, making you wish he introduced everyone, or was still on commentary duties! From the moment the bell rings, it’s a fight - Lesnar is a true powerhouse, a dominant brute of a man, pure strength and ferocity. Reigns, despite the fans’ negativity, is by no means powerless - he’s got height, speed and agility over Lesnar, and uses it all when there’s a tiny window in Lesnar’s offence. Seth Rollins cashing his in Money in the Bank briefcase, turning the match into a Triple Threat and securing the WWE World Heavyweight Championship by pinning Roman Reigns. Amongst the special features on the second disc is the Tag Team Championship Four Way, which saw The Usos vs Los Matadores vs vs The New Day vs Tyson Kidd & Cesaro (c) that, very much like the ladder match at the start of Wrestlemania, is a high flying affair that sees Cesaro and Kidd, in particular, in top form, with everyone engaging in a variety of over-the-top moments that send the crowd wild, leading to Cesaro stealing the tag from Jimmy Uso and scoring the win. Also on disc 2 is the Andre the Giant Battle Royale, which starts with all the men in the ring, with the ensuing chaos and rapid eliminations necessary for a match that runs for twenty minutes and features thirty men. The last minutes would see Big Show square off against Damian Sandow, eliminating him and standing victorious. In this follow up set to the well received 'Breaking the Code' DVD, we ride along with Y2J in a limo as he travels from New York City to Pennsylvania for a Fozzy concert. Chris talks a little about his life, how he sees his career at this stage and responds to criticisms about him splitting his professional life between wrestling and music. Then, with little pre-amble, it's on to the matches, Jericho noting that he hasn't gone back to watch any of the matches and that his recollections are from memory alone. The first match on the set sees a 26 year old Chris Jericho in the biggest match of his career to date, competing for the ECW World TV Title against the late Pitbull #2. Chris states that he doesn't really consider himself an ECW original, as he was there for just a little over six months, but Paul Heyman saw great potential in young Y2J and gave him a real opportunity that, for Jericho, definitely paid off. Pitbull's strength advantage comes into play early on, Chris trying to use his speed to combat the bigger man, only to get slammed hard to the mat as Pitbull catches him out of mid-air. 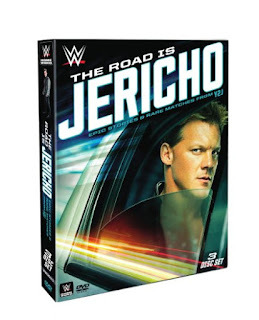 The trend continues, with Jericho being forced decidedly into the underdog role. The crowd rally behind him and he eventually turns the tide with a near-fall from a victory roll, before unleashing some of his high-flying offence, including a spectacular inside-out Asai moonsault. Pitbull's in his element on the floor, however, and clatters Jericho about the head with a chair shot. Pitbull's in complete control and looks to have the match won, but Shane Douglas interferes and he and Pitbull brawl on the floor. He deals with Douglas and returns to the ring, setting Jericho up top. The Champion goes for a super powerbomb, but Jericho reverses it into a hurricanrana and pins Pitbull #2 to become the ECW World TV Champion! This was a fun match, some sloppiness, a few near-falls too many and Shane Douglas interference aside. Pitbull #2 and Jericho worked well together, covering nicely when things didn't go quite as planned. Ultimo Dragon and Chris Jericho first met in Mexico in the early 90's, teaming together in CMLL before starting their rivalry in Japan for Genichiro Tenryu's WAR promotion. Chris notes that WAR were influential for putting Jr. Heavyweight matches in the main event, which few of the Japanese promotions did at the time. In total Jericho & Dragon had 16 singles matches from Mexico, to Japan, to the USA and he says it was a match against Ultimo Dragon that got him signed to WCW. This is their second encounter in WCW, Ultimo having pinned Jericho on an episode of Nitro the previous month, but now they face off fo the WCW Cruiserweight Title on PPV. As with all of their matches, this is a very smooth, fast-paced and polished affair, neither man missing a beat as they try and one-up each other in athleticism and skill. Jericho noted on the pre-match interview that the crowds in the US weren't entirely accustomed to the Jr. Heavyweight style and it shows as they don't quite know how to react to moves and sequences that were staples of lucha libre and the Japanese Super Jr. style in the mid-90's. The crowd are drawn more into it as the pace picks up in the final, Dragon hitting his trademark Asai Moonsault to a big pop. The finish comes as Ultimo counters a powerbomb into a hurricanrana, but Jericho rolls through and pins Dragon to retain the title. Jericho sings Malenko's praises as not only one of his best opponents, but as one of the best wrestlers of all-time, before going on to talk about how important this feud was for his career. Until he turned heel he'd been largely faceless in WCW, an undercard guy who didn't get to cut promos, but when Malenko had to take time off Jericho had to carry the feud on his own which allowed him to show his charisma on the mic and began a new chapter of his career. The match begins at a fairly slow pace, Jericho trying to go toe-to-toe with Malenko only to be outwitted by the technical wizardry of Dean Malenko. Jericho eventually manages to turn things in his favour when he hits a Lou Thesz press, following up with a brainbuster for a near-fall. Jericho hits the Lionsault, but Dean manages to get his foot up on the ropes, enraging the champion. Jericho keeps good control of his opponent, continuing to use his pace and agility to keep Malenko off balance. He can't quite put him away, however, and as Jericho goes for a top-rope hurricanrana, Dean reverses it and hits a huge gutbuster off the top! He takes too long to follow up and Jericho kicks out at two. Dean hits the ropes and tries for a leg lariat, but Jericho grabs a hold of his ankle and sits smartly down into the Liontamer, forcing Malenko to tap! This was a pretty good match that told an effective story, as the brash Jericho surprised a much more seasoned opponent who, perhaps, took him a little too lightly. Jericho talks about how difficult he found the transition from working in WCW to the WWF and having to learn the 'WWE style'. He recalls how Vince personally assigned X-Pac to look after him, so Chris would have to run all his matches through X-Pac, which he struggled with at first but says it ultimately helped him a great deal. The match begins with Jericho running down X-Pac on the mic, calling him out to come face him in the Y2Jail and end their feud once and for all. Jericho attacks X-Pac as he gets into the cage, but X-Pac slams the steel door into his head and takes control. X-Pac wears Jericho down before attempting to climb the cage, but Chris springboards off the middle-rope and kicks out X-Pac's legs. He hits a nice northern lights suplex and slams Pac face-first into the cage. The odds swing back and forth in both men's favour, as they repeatedly try and escape, only to be cut off again and again. The big turning point comes as X-Pac hits the Bronco Buster. He climbs up the turnbuckles, but Y2J rises to his feet and powerbombs him off the top-rope! Jericho climbs up the cage and X-Pac follows, only to get caught in the Walls of Jericho on-top of the cage. X-Pac manages to squirm his way free and Jerico crashes hard to the mat. All X-Pac has to do is climb down and, as he uses the cage door for a foothold, Jericho dropkicks the cage wall and X-Pac is crotched on the door! Jericho rushes to the open door and escapes to win the match. This was a fun cage match and felt like a solid end to a feud. Both men took a ton of punishment, especially Jericho who was the recipient of a nasty chair shot and took the big fall of the cage. The finish was pretty clever, certainly memorable. Chris intros the match by saying how underrated a wrestler he thinks Kane is and that, for most of his career, he'd worked with opponents more in-line with his own size, so wrestling a monster like Kane was a challenge for him. He also talks about how the typically Attitude Era finish stands out in his mind as something that had never been done and likely won't be done ever again. The match starts on the entranceway and they immediately brawl backstage, going through the motions as they slam each other into boxes and walls, etc. After a minute or so they return through the curtain and brawl their way around ringside. Jericho leaps off the ring apron, but Kane catches him and rams him back-first into the ring post, before hitting a huge powerslam on the floor. Kane takes complete control of the match, trying to wear Jericho down for the ten count, but Y2J refuses to stay down even after a huge chokeslam, which only further enrages the Big Red Machine. Kane grabs a chair and tries to Tombstone Jericho onto it, but Chris escapes and uses the chair to tee off on Kane's head. As the referee nears the ten count, Kane predictably sits bolt upright. They brawl back up the entranceway, Kane then attempting to chokeslam Jericho through a table. Y2J reverses it and hits a bulldog, but the table fails to break. They try for it a second time and this time the table sort-of breaks, but Kane's still getting up. Jericho heads to the stacked barrels that are part of the set and pushes them over, trapping Kane beneath for the win. This was pretty fun, but the finish was as ridiculous as the opening backstage brawl was unnecessary. I'm not a huge fan of the stipulation, although this was probably one the better Last Man Standing matches I've seen. Out of everyone he's wrestled in his career, Y2J says that Steve Austin is the most unique. He likens wrestling Austin to grabbing a dragon's tail, you don't know in which direction it's going to take you, so you just hold on for dear life. Jericho also says he remembers nothing about this bout, but included it for the quality of his opponent and the fact that Mick Foley was the special guest ring enforcer. The match begins quickly, with Austin forcing Jericho into the corner and stomping a mudhole in his chest. Austin dominates the early going, but after a big dropkick Jericho explodes and fully takes the fight to Stone Cold. Austin goes for the Lou Thesz press, but Chris counters it into the Walls of Jericho! Austin struggles to the ropes and the match spills to the floor, where Stone Cold is more in his element. Austin tries to throw Jericho into the ring post, but he scrambles free and sends Austin crashing knee-first into the ring steps. Jericho gets the match back in the ring and goes for the Lionsault, but Austin gets his knees up at the last second. He low blows Chris when the referee isn't looking, but as Foley distracts Austin, Jericho returns the favour and rolls him up for a two count. Jericho hits some of his big offence, a springboard missile dropkick, followed by a top-rope hurricanrana. Referee Earl Hebner gets taken out, so Foley has to take over as Y2J locks in the Walls of Jericho. However, commissioner William Regal runs down to ringside and assaults Foley. Jericho makes the save, but as Foley swings a chair in Regal's direction, the commissioner ducks and Foley hits Jericho! Austin gets him back in the ring, hits the Stunner and wins the match. This was a fun TV match, Austin gave Jericho a lot of offence during his comeback and Jericho kicked out of some big moves. The interference wasn't entirely welcome and Foley's presence didn't seem to serve much purpose, but this was an enjoyable match nonetheless. Jericho talks about the insane travel schedules WWE superstars have to face when travelling overseas, which were compounded in the era of European-only PPVs like Rebellion which took place in the UK. Jericho doesn't recall much about the match with Angle, other than the two were exhausted and jet lagged, but it doesn't show as they start the match at a fast pace. Jericho has the experience advantage over Kurt Angle but, as Chris said in his intro, Kurt was such a talented amateur wrestler and picked up professional wrestling very quickly. Y2J takes control of the match and tries to show Kurt his technical ability with a series of suplexes, only for the Olympic gold medallist to explode with a beautiful high-angle German suplex. The match sprawls out to the floor, both men trading chops and forearms until Jericho throws Angle shoulder-first into the steps. Back in the ring Jericho punishes Angle's injured shoulder. Kurt hooks in the ankle lock out of nowhere, but Jericho's quick to roll over and kick his way free. They're putting in some great work here and the crowd go nuts as Angle attempts a Walls of Jericho, unsurprisingly Chris is having none of that and smartly counters out, but the tide turns in Angle's favour when Jericho comes off the top and gets caught in a belly-to-belly. Angle goes to work, methodically picking Jericho apart with suplexes and holds, leading to the inevitable comeback as Y2J manages to apply to Ankle Lock on Angle! Kurt struggles to the ropes and really puts over the effect of his own hold for the rest of the match, looking set to win with the Angle Slam, only for Jericho to float out of it and roll-up Kurt for the three count out of nowhere. This was a great match, solid work from both guys, but especially Kurt who was just fantastic all around. Post-match, an enraged Angle hits the Angle Slam twice and leaves to a chorus of boos. Chris talks about the great chemistry he had with The Rock and attributes it to how well they clicked in the ring and on the mic, believing himself to be Rocky's perfect opponent. As such, he says he easily recalls all his matches with The Rock and this one was especially memorable for him because it cemented his status as the Undisputed WWF Champion. The Champ arrogantly squares up to Rock to start things off, but Rocky explodes with a huge flurry of offence. Rock won't let up and, although he tries multiple comebacks, nothing works until he manages to hot shot Rock on the ropes. Y2J gets down to business, punishing Rock with chops and scoring a near-fall with a spinning heel kick. Chris floors Rock with a missile dropkick and then slows the pace down, trying to choke his opponent out. Jericho heads up top, but Rocky cuts him off and hits a huge superplex. A big overhead belly-to-belly gets a near-fall, but Jericho's not out of it yet and the match goes back and forth. When it looks like The Rock has the upper-hand, Christian & Storm briefly interfere on Jericho's behalf, but Rock fends them off and brawls with Y2J on the floor. They climb up on an announce table and Jericho gets hit with a Rock Bottom through the table! Rocky rolls Jericho back in the ring, but gets caught by surprise as Chris trips him up and applies the Walls of Jericho. Rock refuses to tap and Chris has to use every trick in the book to finally get the victory after a ref bump, title shot to the head, exposed turnbuckle and roll-up pin with Jericho's feet on the ropes. The finish was pure Attitude Era-style and felt a bit over the top, but the match overall was really enjoyable. The crowd were well into the action from start to finish and this was a great win in Jericho's career. This match was for the chance to face Hulk Hogan for the WWF Undisputed Championship and Jericho says it's especially memorable for him, because it was the only match where he defeated Triple H cleanly on television. He talks about the animosity between himself and Hunter early in his WWE career and says that definitely added some intensity to their matches, as each man had something to prove to the other. Jericho starts with some mind games, bailing out of the ring as the bell sounds. He eventually gets back in and tries to go toe to toe with Triple H, but finds The Game too much to handle as he takes full control of the match. Triple H sends Jericho shoulder-first into the ringpost and continues to work over the arm, but Y2J's agility comes into play as he ducks a clothesline and floors Triple H with a flying forearm. Jericho takes full advantage and busts Hunter open with punches, before hitting a facebuster for a near-fall. The Game catches him with a spinebuster and the momentum shifts back and forth. Hunter goes for the Pedigree, but Jericho backslides out of it for a two-count. He tries to quickly follow up with a Lionsault, but Triple H rolls out of the way and tries to hook in the Pedigree again, only this time Jericho trips him out of it and locks in the Walls. Triple H struggles to get to the ropes and a frustrated Jericho heads out of the ring to get some chairs, but he swings and misses and Triple H grabs the Pedigree for a third time, however Undertaker comes down to ringside. Taking advantage of the distraction, Jericho rolls up Triple H for the three count. This match was pretty good, Triple H looked really solid on offence, but this isn't their best encounter. Jericho talks about how much he enjoyed working with Jeff because he had so much charisma that the crowd would react for everything. He puts over Jeff as an underrated performer and says he worked so well with him because, with his own high-flying experience, he could provide a great base for Jeff's own high-flying. The match starts off with a nice wristlock exchange on the mat, before Jericho tries to liven things up with a slap to the face. Hardy responds with his quickness and agility, flooring Jericho with a headscissors for an early one count. Y2J plays the role of the crafty veteran as he surprises Jeff by throwing him over the ropes and to the floor, but takes far too long taunting the crowd and, as he goes for the springboard inside-out dropkick, Hardy ducks and Jericho goes crashing to the outside. A picture perfect Asai moonsault from Hardy brings the crowd to their feet. Jeff follows up by throwing Chris into the ring steps, before rolling him back inside. It's all Hardy here, as he heads up top for the swanton, but Jericho grabs the ref and sends him into the ropes, unbalancing Hardy. Jericho climbs up top with him and hits a huge double-arm suplex off the top! Somehow Hardy kicks out at two and Jericho goes to work on his back, softening him up for the Walls. However, when he does go for the submission Hardy reaches up and pulls him into a small package for a near-fall. Jericho eventually locks it in and Hardy struggles to the ropes. Chris goes up top to follow up, but Jeff cuts him off and throws him to the mat, before hitting the swanton bomb. At the last second, Jericho gets his foot on the ropes to break the count. Hardy tries for a hurricanana, but Jericho blocks it, locks in the Walls and Jeff's forced to tap. Enjoyable TV match, Hardy's always fun to watch and had a good opponent in Jericho. Injuries beset much of Edge's career and Jericho says it stopped them from working together on a number of occasions, but in their few matches he always enjoyed working with Edge and, if they'd worked together more, would possibly have considered him amongst his best opponents. The match gets off to a tentative start, Jericho taking control of Edge's left arm and doing some solid work as he tries to damage the limb early on. After a while Edge has enough and frees himself with a rake to the eyes, but get caught by the inside-out springboard dropkick and a big crossbody. Jericho continues to punish the arm and Edge looks to be in a ton of pain, but he picks his moment well and catches Jericho on the top-rope, hitting a big superplex. Edge takes control and manages to weather Y2J's inevitable comeback, avoiding the Lionsault and flooring Jericho with a big boot. Jericho trips him up and tries to lock in the Walls, but Edge kicks him into the corner, also taking out the referee. Edge goes for the spear, but Jericho avoids it and Edge goes crashing to the floor. He returns to the ring with a ladder, but Jericho drop-toeholds him and hits a Lionsault. The ref's still down, however, and Edge low-blows Jericho with the ladder before hitting an implant DDT just as the ref revives to earn the three-count. This wasn't bad, but it wasn't exactly thrilling either. An acceptable TV match, with some nice work by Jericho on Edge's injured arm. What Chris remembers most about this match is the usage of the British-themed props, specifically the London black cab that he and HBK fight on top of. He also says that Shawn is one of his go-to opponents when asked about his favourites from his career. Shawn teases the Sweet Chin Music early on, but instead just pounds on Jerico with closed fists. Jericho reverses a whip into the ropes, but Shawn rolls off the turnbuckles and floors him with a clothesline. Michaels goes up top for the elbow, but Jericho gets his knees up to turn things in his favour. Chris goes for the inside-out springboard dropkick, but HBK has him scouted and ducks out of the way. Big reverse springboard plancha from Shawn and both men are down. Jericho ducks another Sweet Chin Music attempt and floors Michaels with a bulldog on the entranceway. They brawl up onto the stage and Michaels reverses a Walls of Jericho attempt by slingshotting Y2J into a postbox. Shawn gets Jericho up on the roof of the black cab and goes for a powerbomb, but Jericho counters and locks in the Walls before throwing HBK to the floor, but HBK makes it to his feet at the very last moment of the 10 count. Jericho charges, but gets sent flying off the stage and then HBK uses a one of the camera cranes and clatters Chris about the head with it. Jericho's back up at the count of eight, so HBK takes the match back to ringside and grabs a ladder, but Jericho dropkicks it into him. Both men continue to use the ladder as a weapon, before ending up on the commentary table. HBK sets up the ladder and elbow drops Jericho through the table! Chris barely makes it up and then HBK finally hits the Sweet Chin Music, but JBL appears from the crowd and smashes Michaels over the head with it. Jericho gets to his feet at the count of eight, but HBK can't reach the ten count and loses the match. I'm not a huge fan of Last Man Standing matches, this one went all around the arena and felt a bit spotty because of it, while the finish was a bit flat but helped continue Michaels' feud with Bradshaw. Jericho explains what dark matches are and why he thinks it's important to give the fans their money's worth, to that end he says he always enjoyed working with John Cena, because he believes they have a similar ethos and that John's one of the hardest working guys he knows. Jericho starts the match by running down Cena on the mic and says he's going to end 2008 as the WWE Champion. Cena tries to hit Jericho with the belt, but the ref takes it off him and as he's arguing with the ref, Jericho clocks him with the microphone. Jericho immediately takes the fight to the floor, slamming Cena into the ringsteps and the announce table, before heading over to the crowd and slapping Cena's father in the face! Cena fights back and rams Jericho into the side of the ring, before rolling him inside and going for the AA, only for Jericho to counter it into a DDT. Jericho goes for the Walls, but he can't turn Cena over, so instead he slingshots him into the turnbuckles and gets a two-count. With a little difficulty Jericho gets the ring steps over the ropes and bulldogs Cena face-first for another near-fall. Y2J grabs a chair and swings for Cena, but John ducks and hoists Jericho up onto his shoulders before hitting the AA for the three count. This was a compact match, but it was pretty enjoyable nonetheless and the stuff with Cena's dad was fun. Jericho sings Mysterio's praises, calling him the best high-flyer there's ever been and says he was thrilled to get an oppertunity to feud with him, as while their paths had crossed previously they never had the chance to work an extended program together. Mysterio uses his quickness to keep Jericho off balance in the early going, but after sending Jericho to the floor with a headscissors takedown he goes for a baseball slide, only for Jericho to grab him by the legs and swing him head-first into the barricade! Jericho takes it back into the ring and controls Mysterio well, cutting him off before he can make a high-flying comeback. A big tilt-a-whirl backbreaker earns Jericho a two-count. Mysterio gets his chance at last as Jericho charges and goes flying through the ropes. Mysterio heads up top and hits a seated senton on Jericho, following up with a springboard crossbody for a two-count of his own. Another headscissors from Mysterio sends Jericho head-first into the turnbuckle and Mysterio follows up with a beautiful springboard Arabian press moonsault. He can't put Jericho away, however, and when letting fly with an Asai moonsault press, Jericho catches him and hits a running powerslam. Y2J grabs Mysterio's legs and turns him over into the Walls of Jericho, but Rey struggles valiantly to the ropes. Chris goes up top but takes too much time and Mysterio cuts him off, only to get powerbombed back to the mat. Jericho shoots Rey into the ropes and goes for the Atlantida, only for Mysterio to counter into a DDT! Rey tries for a reverse springboard crossbody, but gets caught out of mid-air into a Codebreaker! Chris makes the cover and Rey somehow kicks out at two. Jericho rips the mask off, but Mysterio had another underneath. He trips Jericho onto the middle-rope and hits the 619 to become new Intercontinental Champion. This was a lot of fun, maybe went a few minutes too long, but I'm nitpicking a really enjoyable match. Jericho talks briefly about the legacy of Madison Square Garden and how it's always exciting to perform there, before going on to say that Big Show's his favourite tag team partner of all time and that he thought the combination worked really well. Triple threat rules in this one, so Cena starts in the ring with Jericho & HBK, but Jericho tags out to the Big Show, HBK tags in Triple H and Cena tags in The Undertaker. Triple H & Taker briefly ally to take out Big Show, but they're soon at each oter's throats, The Game hitting a big spinebuster before tagging in Michaels. Big Show interrupts and spears Taker, before flooring HBK with a right hand and tagging in Jericho. Lionsault from Jericho, but HBK gets the knees up only for Jericho to grab his legs and turn him over into the Walls of Jericho! Taker breaks up the hold and the match breaks down until Cena & Triple H are left face-to-face in the middle of the ring. 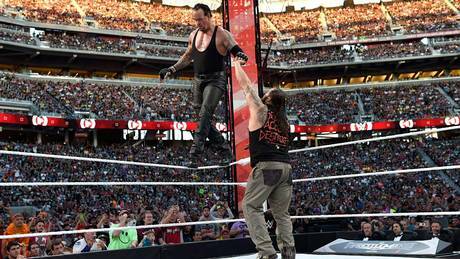 Big Show again interjects and hits a double-chokeslam, then turns his sights on Undertaker. The two big men brawl around ringside, Show throwing Taker hard into the barricade. HBK superkicks Big Show, Jericho hits the Codebreaker on HBK, Undertaker chokeslams Jericho, Triple H clotheslines Taker over the top-rope but gets caught by Cena in an AA to win the match! Undertaker stops the celebration, however, with a tombstone piledriver on Cena. Enjoyable match that worked because of the names involved and the storyline threads heading into the next PPV involving all six men. Good stuff. This was shortly after Jericho had debuted the second version of his lite-brite jacket and he talks about how difficult it was to deal with because of the LED's not working, which caused half of the jacket to be unlit for this match. He mentions that because it was a street fight, both guys were wearing street clothes and Jericho taped up his fists for the match, as they wanted to convey that it was going to be a tough, physical fight and the resulting match was indeed a hard-hitting affair. The Chicago crowd are, unsurprisingly, very vocal in their support of Punk as the match gets under way and Punk takes his frustrations out on Jericho. Punk beats him from pillar to post, throwing some chairs into the ring before unloading on Jericho's back with a kendo stick. Jericho catches Punk with a dropkick and the momentum shifts in his favour. An inside-out springboard dropkick sends Punk crashing to the floor. Jericho slams his head onto the ring apron and throws him over the barricade. Jericho claws at Punk's face while taunting his sister, only to receive a slap about the face that gives Punk the opportunity he needed. An enraged Punk slams Jericho through the top of the announce table and goes for a piledriver, but Y2J reverses it into a back bodydrop before smashing a monitor over Punk's back. Jericho gets the match back in the ring and goes to work with a kendo stick. He continues to punish Punk and then gets a can of beer, pouring it over Punk's face. He takes too long to gloat, however, and Punk catches him with a kendo stick to the gut. Punk goes up top, but Jericho cuts him off and tries for a superplex. Punk knocks him back down to the mat and hits an elbow drop for a near-fall. The match goes back-and-forth until Jericho manages to lock in the Walls, but Punk refuses to tap. He grabs a fire extinguisher from outside of the ring and fires it in Jericho's face to free himself! He sets up Jericho on the announce table and elbow drops him through it. Back in the ring he locks in the Anaconda Vice, but Jericho gets hold of a kendo stick and beats Punk about the head with it. He hoists Punk up for the GTS but takes too long. Punk slingshots Jericho into the turnbuckle and hits the GTS for the win. This was great, the crowd were insanely hot for everything both guys did. A real enjoyable modern era street fight. It had been six years since Rob Van Dam had been on Monday Night RAW, while Jericho was right at the end of his 2013 run for the WWE, so he thought it was fitting they faced here and was excited to be in the ring again with a guy he'd worked with so much in the past. The match was originally slated to have two segments of the live show that night, but plans changed and a minute before they went out they were told they had to add on eight extra minutes! The match gets off to a fairly slow start, both men unwilling to give up the advantage early on. Things shift in Rob's favour after he catches Jericho with a roundhouse to the face, following up with a monkey flip and a standing moonsault for a two-count. It isn't long before Jericho's on top, however, as he floors Rob coming off the ropes with a big clothesline and takes control. Jericho slows the pace down as he methodically tries to wear RVD out, but an errant boot from Van Dam catches Jericho and the momentum shifts again. A beautiful heel kick almost wins things for Mr. Monday Night, but Jericho kicks out at two and a half. Rob locks in a triangle choke, but Jericho shows his strength as he powers out of it and powerbombs RVD to the mat. Jericho goes to work and sets about picking apart Van Dam, only to get caught with a moonsault off the ring apron that took him entirely by surprise. A leaping kick off the top gets Rob a two-count and he follows up nicely with Rolling Thunder, but it's still not enough to put away Y2J. Jericho saves himself with a DDT out of nowhere and stalks his prey as RVD struggles to his feet, but Rob rolls out of the Walls attempt and hits another superkick. He tries for the split-legged moonsault but Jericho rolls out of the way and hits a Lionsault for a two-count of his own. Jericho puts RVD in the Walls, but Rob struggles to the ropes, surprises Jericho with a heel kick and hits the Five Star Frogsplash for the win! Exciting TV match, Rob's awesome to watch when he's motivated and Jericho is the perfect foil for him. Now that he's in the latter stages of his career, Jericho doesn't feel the need to come back to WWE unless they have something he can really sink his teeth into and he thought he could do great work with a character like Bray Wyatt. He talks about the planning behind their cage match and how proud he is with how it turned out, citing it as one of his favourite matches from his career. Bray's strength comes into play early on as he floors Jericho with shoulder-tackles, but Jericho unleashes a huge dropkick and takes over. Bray tries to escape through the door, but Jericho cuts him off only for Bray to stall him with a chop to the throat. Wyatt punishes Jericho, but is caught off guard when he whips Chris into the corner and Y2J leaps up onto the turnbuckles and begins to climb. Wyatt cuts him off, so Chris leaps off and hits a double-axehandle. Wyatt reverses a whip and squashes Jericho into the cage wall before destroying him with a clothesline, but the crafty veteran Jericho trips him up and locks in the Walls. Jericho abandons the hold and climbs the corner, but Wyatt follows him and they fight on the top-rope. Wyatt hooks Jericho and hits a huge superplex, but can't follow up with the pin. Bray goes up top and this time Jericho follows, almost getting powerbombed for his trouble, only to reverse it into a hurricanrana! Jericho climbs the cage but the Wyatt Family prevents his escape, so with a shrug he leaps back inside, taking out Bray with a crossbody! Although having tweaked his knee, Jericho struggles to the cage door. Wyatt catches him and they brawl, before Wyatt falls out of the cage door to win the match. This was a well worked cage match, they went through the usual spots but everything in between was good enough so it didn't feel like they were just doing a cage match by the numbers. For the last match on the DVD set, Jericho takes on Randy Orton. Jericho says that when you've got two guys who the crowd are so familiar with, that's when you can really have fun with a match, take your time and work towards and against the fan's expectations. He also says that if this turned out to be his last match ever, he'd be entirely satisfied with that as he thought he and Randy had the best match that night and the fans agreed, voting it their favourite on a WWE.com poll. Jericho, having been injured by Orton two weeks earlier, tries to take the fight to Orton early on, but the ever-physical Viper imposes his strength on Jericho. He doesn't expect the dropkick that catches him flush in the face, however, Jericho following up with a baseball slide before brawling around ringside. He takes things back into the ring, but Randy kicks the ropes as Chris climbs between them and hits a big clothesline. He places Jericho up top and hits a superplex, but can only get a two-count. Randy takes the battle to the floor and smashes Jericho into the announce table, making sure JBL's cowboy hat was safe before doing so. Big back suplex on the announce table from Randy. He rolls Jericho back in and puts him in a chinlock, but Y2J works his way to his feet, shoots Randy into the ropes and catches him with a leaping neckbreaker. Jericho hits the ropes but gets caught with Randy's always-beautiful powerslam. Randy takes too long posing for the crowd and Jericho rallies, but Orton keeps cutting off his momentum. He goes for the RKO, but Jericho slips out of it and hits a Lionsault for two. He locks in the Walls and Randy struggles to make it to the ropes, so he instead flips himself over and kicks his way free. Randy catches Jericho with a kick to the gut and hits an elevated DDT, but can't follow up. Orton tries for the RKO again, but Jericho catches him in the Codebreaker out of nowhere! It only gets a two, however, Randy kicking out at the last second. Jericho heads up top and waits for Orton to get to his feet, but as Jericho leaps Orton catches him in the RKO for the win. This was a really solid bout, probably the best encounter between the two. Overall this set was something of a mixed bag. While none of the matches were what I'd call bad, a good few felt a bit throwaway, but there's enough quality here to make this a worthy purchase for Jerichoholics. I would have liked to see a few more matches from the earlier stages of Y2J's career, but overall this was a good selection. The format of the DVD was pretty cool and makes a change from the usual sit-down interview, but I would have liked to see them take the concept of watching the matches with Jericho a bit further. Chris states himself that, in many instances, he hasn't seen these matches in years and it would have been nice to see not only his memories before the match, but his thoughts after revisiting the matches included on the set. This was a fun little match to get the night kicked off. Both Ryder and Stardust seem to be at interesting stages in their respective careers with Ryder coming off a solid Raw match against Cena and the possibility of Stardust having a match against Arrow star Stephen Amell. Ryder definitely looks to be somewhat reinvigorated as he got his fair share of offense in. Stardust hit the Queen’s Crossbow (his Cross Rhodes rolling cutter) for the win. The Miz is back. This segment was largely pretty funny. Miz had Summer Rae at his side and brought out Daniel Bryan as his guest. The biggest news that came out of this was Bryan announcing that his career isn't over and that he will be back at some point, though of course, he didn't say when. He also plugged his new book. The Miz kept digging and needling at Bryan which led to Macho Mandow and AxelMania hitting the ring to dispose of the Miz. The first ever tag team Elimination Chamber match got started off with The Ascension and The Lucha Dragons. New Day managed to interfere when Kalisto found himself perched up on top of their pod. The next team in was Cesaro and Kidd. One of the best spots of the match occurred when Cesaro superplexed Kalisto off the top of a pod. Los Matadores were in next, though they weren't in for long as the Ascension pinned one of the Matadors with the Fall of Man. The Ascension managed to hit the Fall of Man on on Kalisto to eliminate the Lucha Dragons. The Prime Time Players were in next and quickly eliminated Ascension when Darren Young hit his Gut Check on Viktor. All three members of the New Day were in next as the final entrants. In another memorable spot, Kidd, Cesaro & PTP teamed up to hit a 4-on-3 suplex on New Day. Kidd and Cesaro were eliminated after Young rolled up Cesaro. New Day used their numbers advantage to gain the win and pin Titus O'Neil. At times this match felt a little cluttered, but it was a fun opener. All three women worked hard, though this was definitely clunky. There was a reverse hurricanrana from Naomi to Paige that made me cringe and a few moments when you could tell that the timing was a bit off. As Naomi and Paige were battling it out on the top rope, Nikki came in and turned it into a tower of doom. Nikki looked set to pick up the win over Paige with the Rack Attack, but Naomi stopped her with the Rear View. Ultimately, Nikki was able to hit the Rack Attack on Naomi to retain her title. I've been enjoying Naomi's heel work as of late and expected her to win the title, but that could always happen down the road. Owens is out first and gets a pretty decent reaction. Cena follows to a warm reception than he usually gets with more cheers than boos. Owens largely dominated the early goings of the match. He went for the pop-up powerbomb, but Cena was able to get out of it and hit a big shoulder block to regain control. Cena went for the AA, but Owens managed to hit the pop-up powerbomb for a two count. Cena busted out some big moves; a Tornado DDT, the STF, the springboard stunner and top rope legdrop, but none were able to keep Owens down for the count. Cena leveled Owens with two big clotheslines. Owens ducked another clothesline attempt and hit the pop up powerbomb to pick up the clean win. Post-match, Owens grabbed a microphone, addressed the crowd and talked up his big win. It's very clear that Owens' time is now. Heading into the show, there was a ton of speculation among fans as to how the finish would go win and I don't think any of us were expecting a clean win. This was easily the match of the night. This match was in a tough spot having to follow the Cena vs. Owens match. If anything this match just further drove home how important NXT has become as Bo and Neville are both former NXT champions. Neville hit a moonsault from the top rope onto a prone Bo Dallas on the floor in a moment that perfectly showed off his high flying arsenal. Bo was able to recover and mount an attack, but the Neville was able to hit the Red Arrow to win the match. The match got kicked off with Ziggler and Barrett. R-Truth was in next and Barrett immediately honed in on him. Barrett rammed Ziggler into Mark Henry's pod door in an attempt to taunt the World's Strongest Man,but that broke the pod door and Henry was now in the match. Ryback was in next. Barrett was the first eliminated after taking a superkick from Ziggler, Snake Eyes from Ryback and Lie Detector from R-Truth. Ryback Shellshocked R-Truth to eliminate him from the match. Sheamus hit a Brogue Kick on Henry to take him out. The Celtic Warrior was able to Brogue Kick Ziggler and pinned him. Sheamus and Ryback battled it out as they were the final two. In a nasty moment, Sheamus leveled Ryback with the White Noise on the steel grate. Ryback was able to gain momentum and Shell Shocked Sheamus to win the match. Daniel Bryan presented Ryback with the Intercontinental Championship. He led the crowd in a 'Yes!' chant and shook hands with Ryback. This match was a mess. 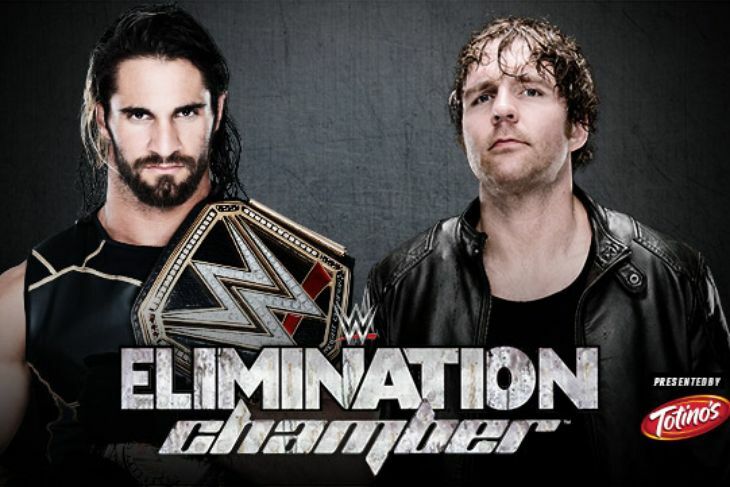 It's funny, neither of the Chamber matches stole the show. After the bell rings, we get an intense stare down between Rollins and Ambrose. At one point, Ambrose went for a bulldog on Rollins, but Mercury stepped in to pull Rollins out to the floor. Ambrose did a sweet suicide dive that drove himself and Rollins over the broadcast table. Later on, the Lunatic Fringe thwarted Kane and J&J Security as they attempted to interfere. Ambrose went to the top rope and hit a big dive onto Kane and J&J Security. The referee was taken out as he was hit when Ambrose went for another top rope elbow. Ambrose hit Dirty Deeds on Rollins and had him pinned, though of course, there was no ref to make the count. A second referee came out from the back and counted the pin. As Ambrose was celebrating with the title, the original ref recovered. The second referee informed Lilian that the match was ruled a DQ. Ambrose had won the match, but not the title. Noble, Mercury and Kane attack, but Roman Reigns ran out to make the save. Reigns cleaned house and Ambrose tossed Rollins over the top and to the outside. Ambrose grabs a microphone and tells that the crowd that since he won the match, he's taking the title with him. The show goes off the air with Ambrose and Reigns celebrating in the crowd and Rollins screaming for his title to be given back. Surprisingly, I really wasn't disappointed at all about the Dusty Finish and I'm intrigued to see how this will play out on Raw.